In a scene just faintly reminiscent of the ending of A Few Good Men — but with a different sort of killing involved — Congressman Sean Patrick Maloney got Secretary of Transportation Elaine Chao to admit that President Trump personally asked House Speaker Paul Ryan to block funding for New York City’s badly needed Gateway project. 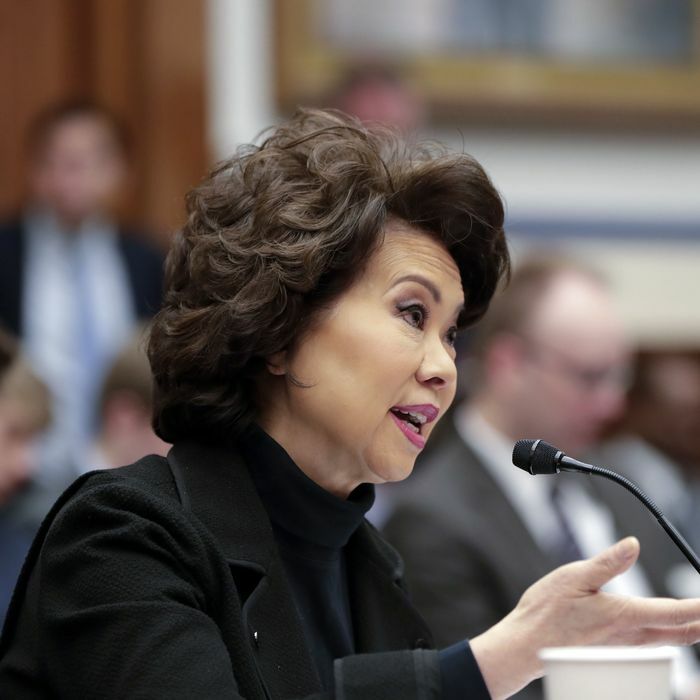 Maloney, a New York Democrat, asked Chao if a recent Washington Post report that the president had personally lobbied Ryan on the issue was accurate. The Gateway project is a massive plan that involves building a new tunnel between Manhattan and New Jersey, in an effort to ease overcrowding and lighten the load for the area’s creaky existing infrastructure. It is expected to cost $30 billion. Lawmakers were hoping to include $950 million worth of funding for the plan in an omnibus spending bill Congress is expected to pass this month. The Obama administration had agreed that the federal government would pick up half the tab for the entire project, but the Trump administration reversed course, telling the governors of New York and New Jersey that the deal was off the table. And now, the president has gotten personally involved. The price tag probably isn’t what gave the profligate Trump pause. The Post reported that Trump may be using funding for the project as a bargaining chip with Senator Chuck Schumer to pass a bigger spending bill later this year, though that seems too clever by half for the president. The president could just be leveling a vendetta against Schumer, who has blocked Trump nominees over the project. Or he may just delight in punishing an area of the country that loathes him — even if it’s his hometown — the way the president’s tax bill did. With this presidency, it can be downright difficult to narrow down which petty grievance might be getting in the way of doing some actual good in the world.